I am aware that there has been a first release on the lower end T+A players but was wondering if you could give me a rough idea of when the T+A MP 3100 HV will be Roon Ready? Thanks for your help. we are glad to add Roon Ready as an exciting new feature to our current range of streaming products. The MP8 now was the first T+A device to get the Roon Ready certification and we would like to thank the whole Roon team for all their help and support during our design phase. From numerous requests we know that many T+A users are waiting impatiently for their device to be Roon Ready certified and we are currently working hard to bring Roon support as soon as possible to all our current streaming products. At this moment the Cala and R 1000E are in the certification process. After Roon Ready certification all the above products can easily be upgraded to full Roon support by doing a firmware update over the internet. Thanks for the information. I do appreciate that it’s difficult but I had hoped to hear some rough timescales? It does sound however that things are progressing. It’s been many months for an update. Any news on certification for MP 2500 R ? also – it would be great to have the T+A DAC 8 DSD added as a roon tested device. curently, it is not a selection in the list of t+a devices when performing Device Setup. We are just finishing a new firmware which will bring the roon ready feature to the MP2500R. The release of this firmware is scheduled for May 2019. Besides roon it will also bring support for the new T+A “Music Navigator” control APP and add Qobuz to the supported streaming services. 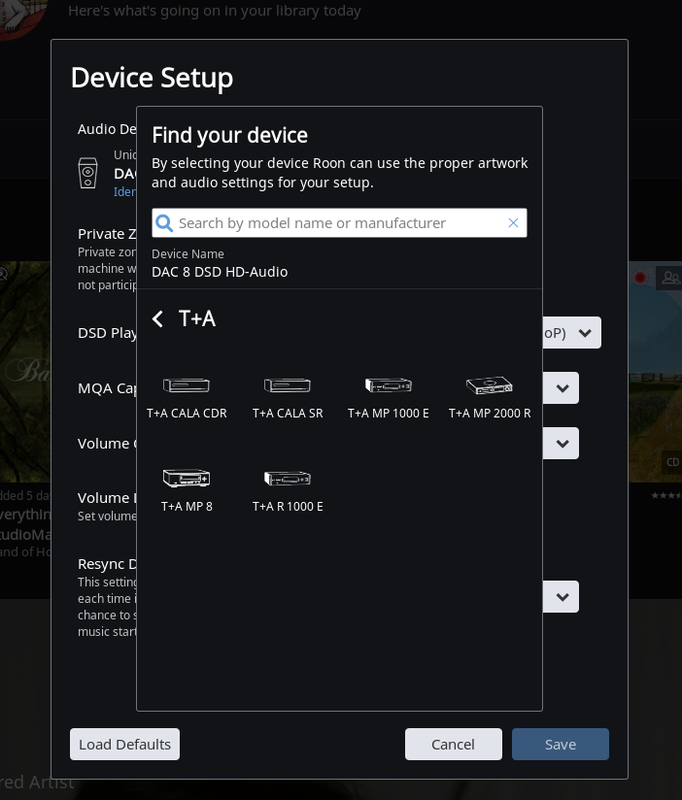 any word when the t+a dac 8 dsd will be added to roon’s list of t+a supported devices and, thereby, make available the proper artwork and audio settings? @aKnyght - yes, you are perfectly right and I can understand your frustration. I also miss our DAC8DSD in the device picker. The reason might be that the DAC8 was tested and certified at a very early point in the roon history when device picker did not exist and so it was not included from the beginning. I have reported to roon several times that DAC8DSD is missing on the “Find your device” list. Each time I was promised that it will be added - but as we can see it did not happen. Maybe roon can give some more information about this problem ??? OK – thanks for the information! it would certainly be nice to have it there. 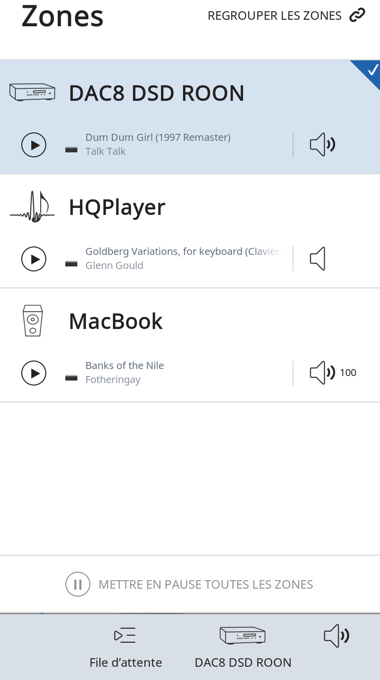 @support any word on timing for having the t+a dac8dsd included in the device picker? thanks!! The T+A DAC8DSD has just been added to the device picker database. Please allow up to 48 hours for the update to download in the background on your Roon Core. Thank you John - very much appreciated !